One of the easiest ways to add interest to an outfit is to pair opposites – opposite colors, textures, and patterns. 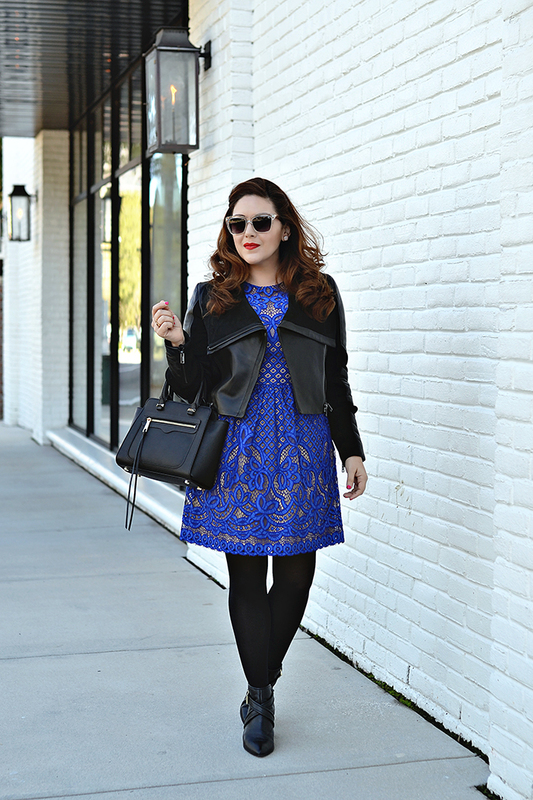 This blue dress is absolutely stunning in person, but I was worried it wouldn’t be very versatile. Until I paired it with this leather jacket that I snagged on super clearance at Zara. 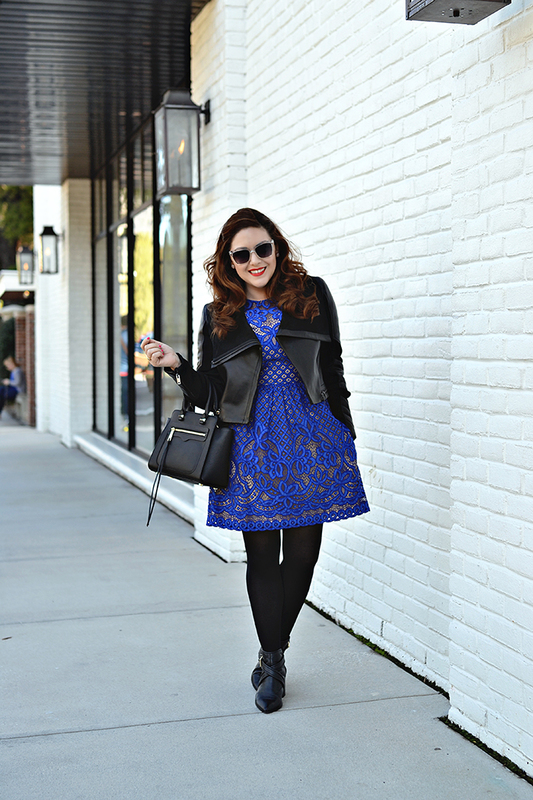 I loved the juxtaposition of leather and lace, and it transformed a summer dress into a great winter look. There is nothing better than finding a dress that is not only gorgeous as is, but is also versatile. Love that shade of blue! Great idea pairing it with the jacket as well, it looks gorgeous.